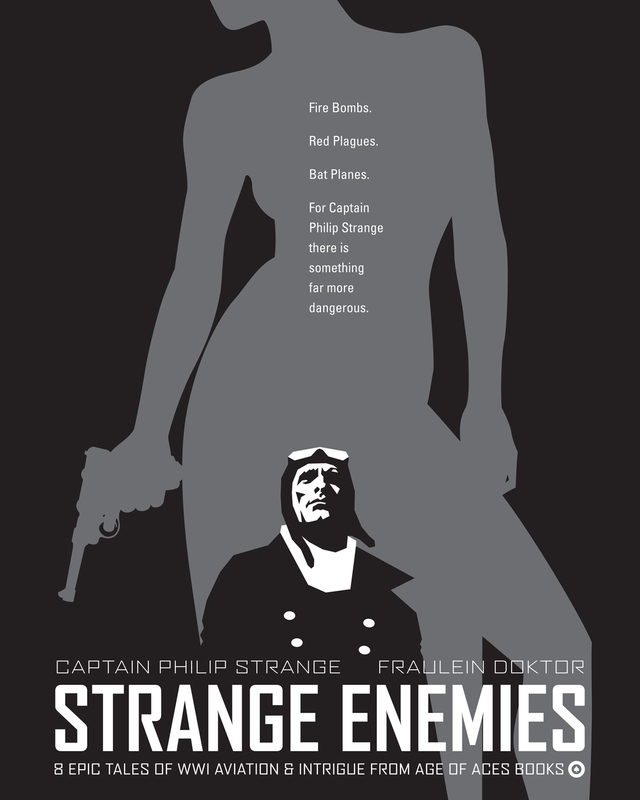 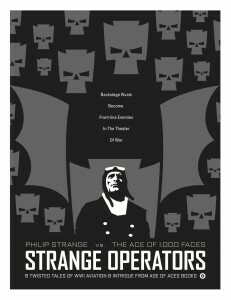 This year, though, we produced a black silhouette poster in the vein of the Strange Enemies one. 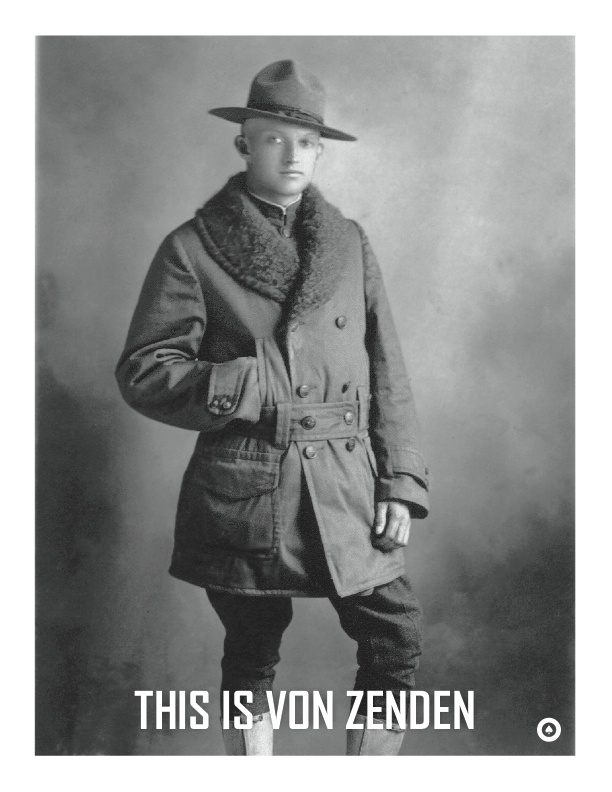 This is the official ad for the book used in Blood’n'Thunder. 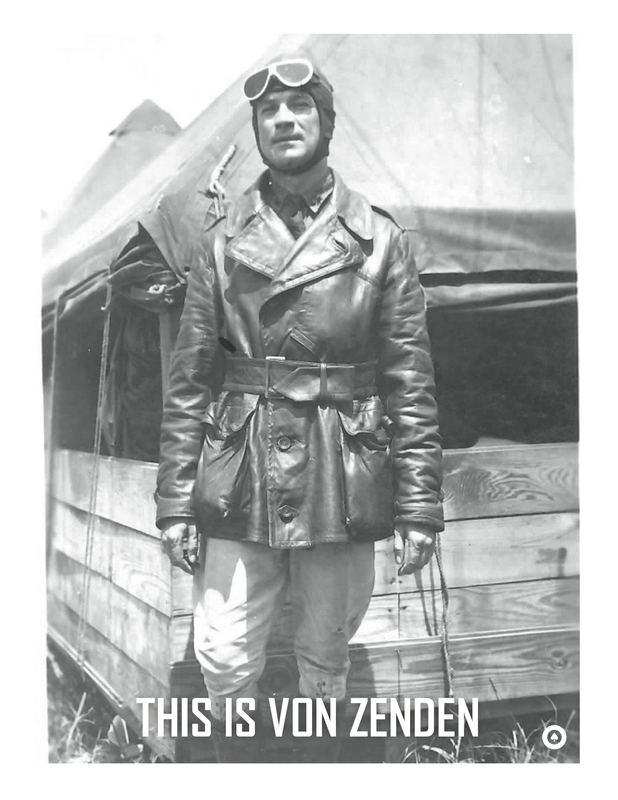 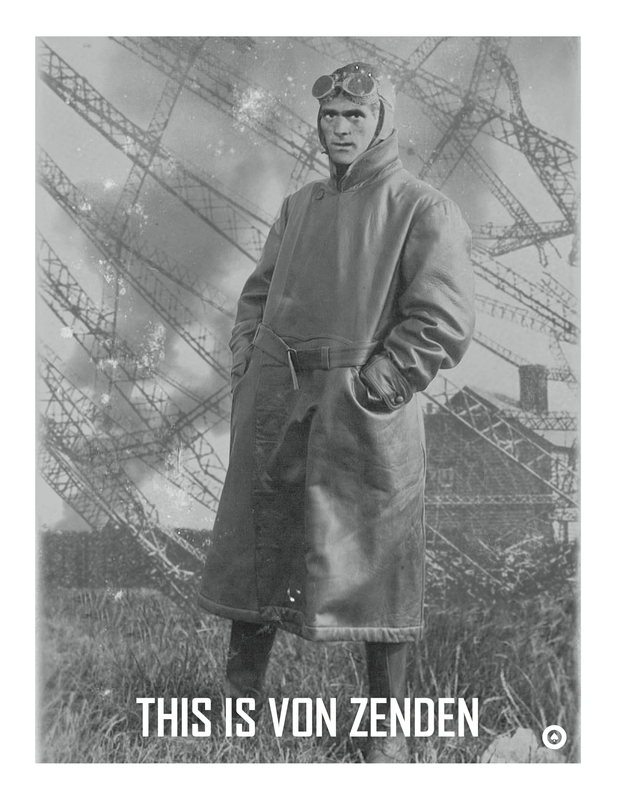 And, in what is maybe our funest marketing since the “Free Nita” push for The Spider vs The Empire State, Art director Chris Kalb came up with a fun Geurilla marketting campaign for PulpFest dealing with von Zenden’s talent of making himself up as anyone. 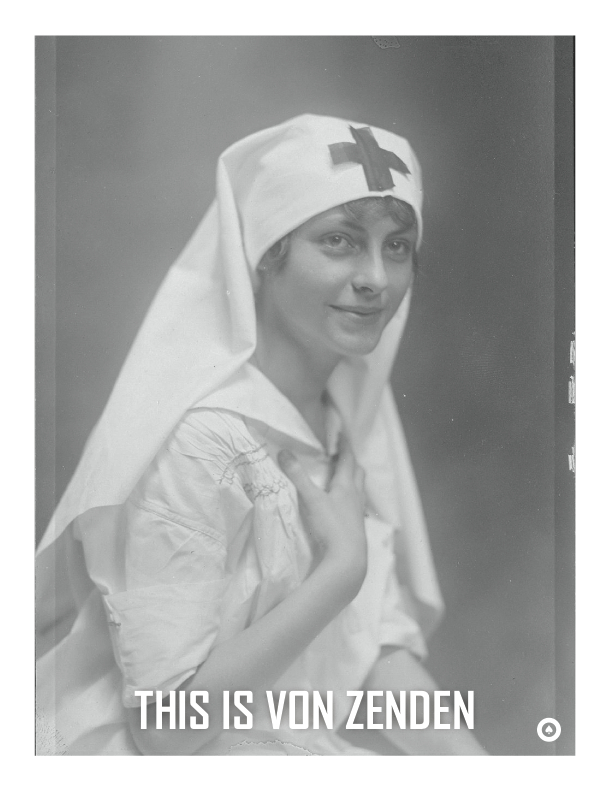 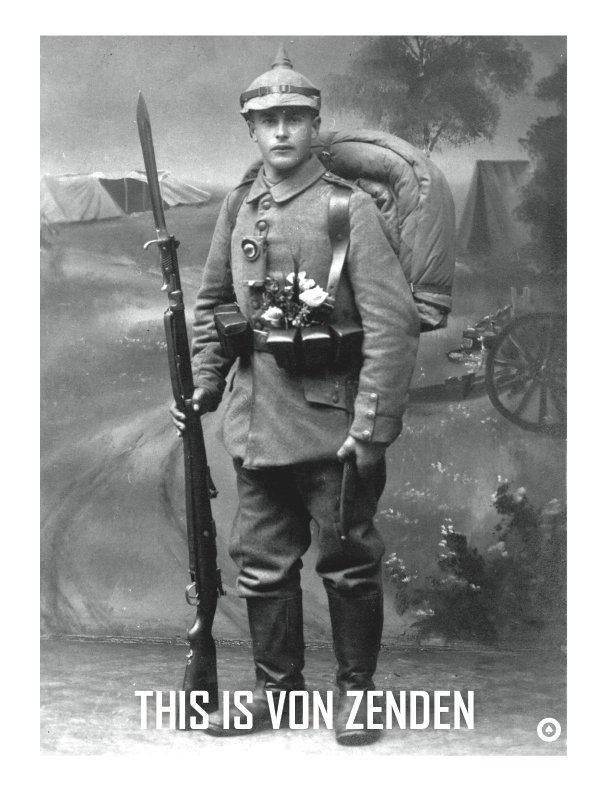 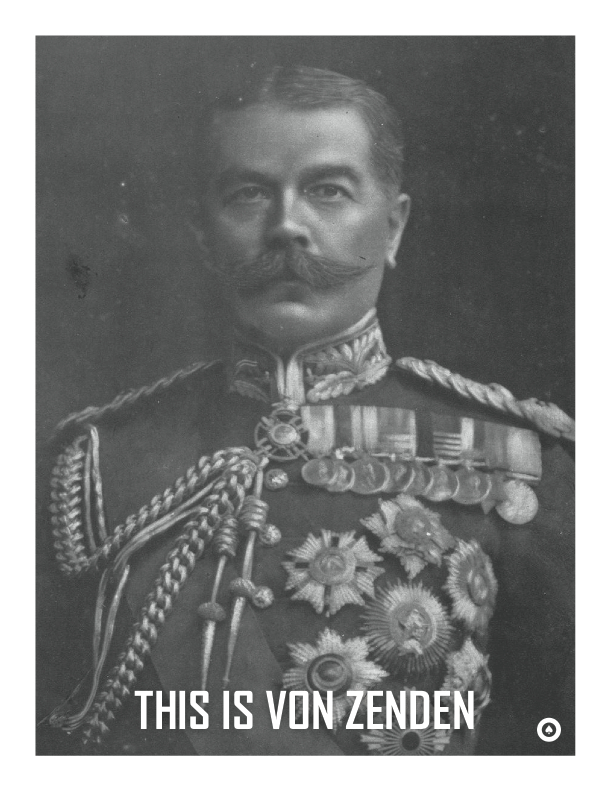 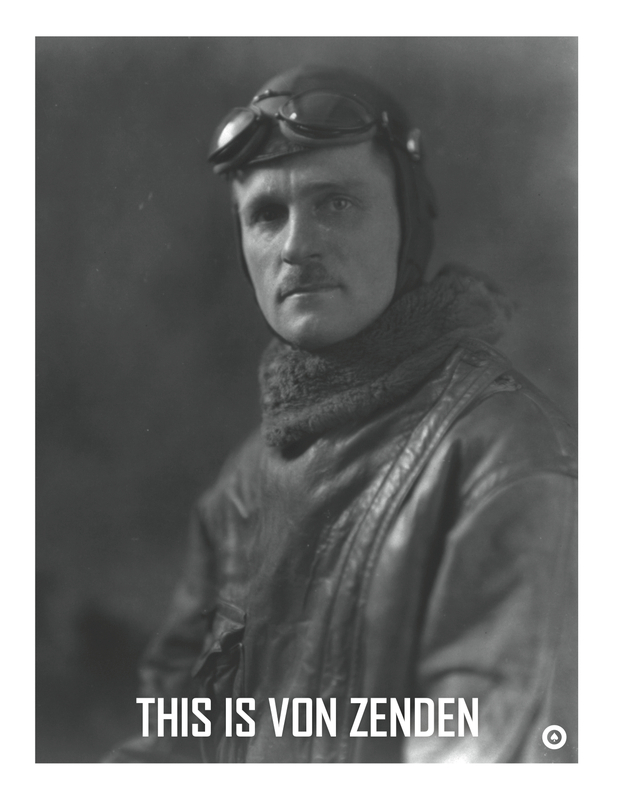 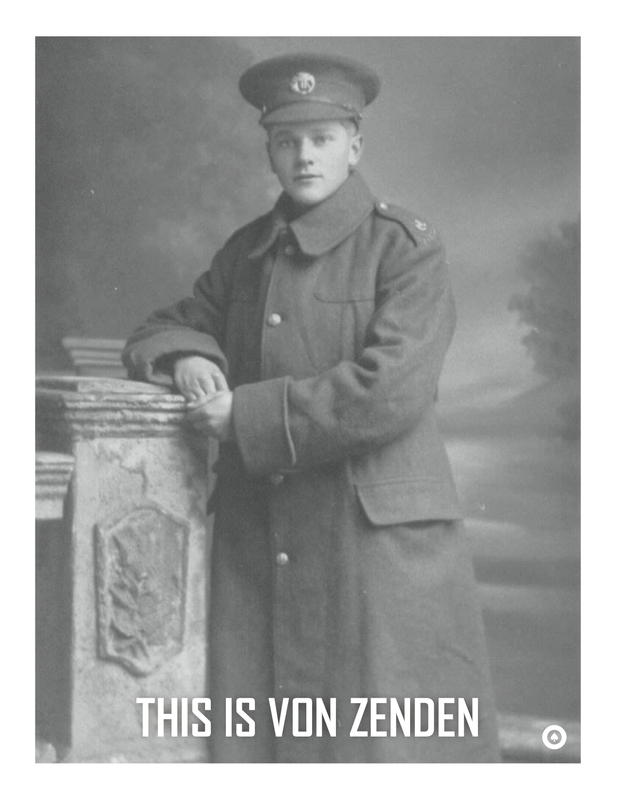 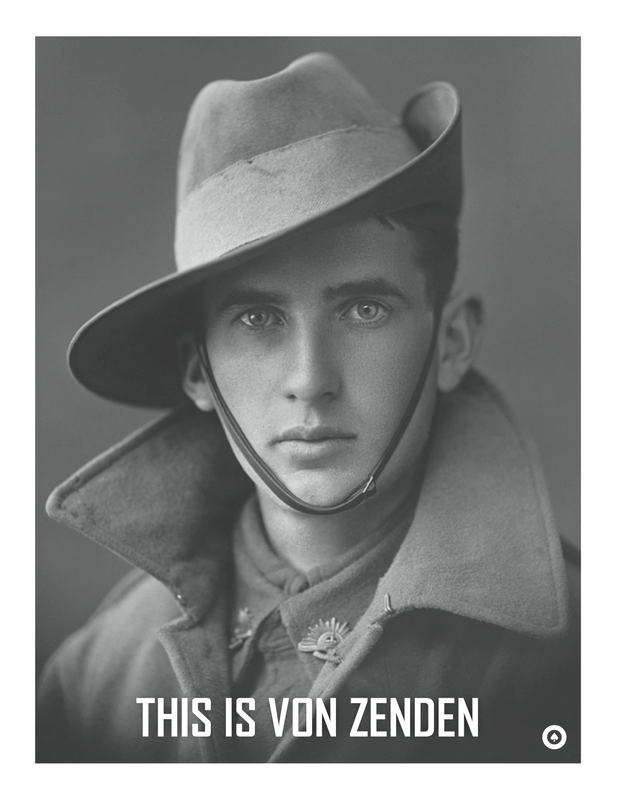 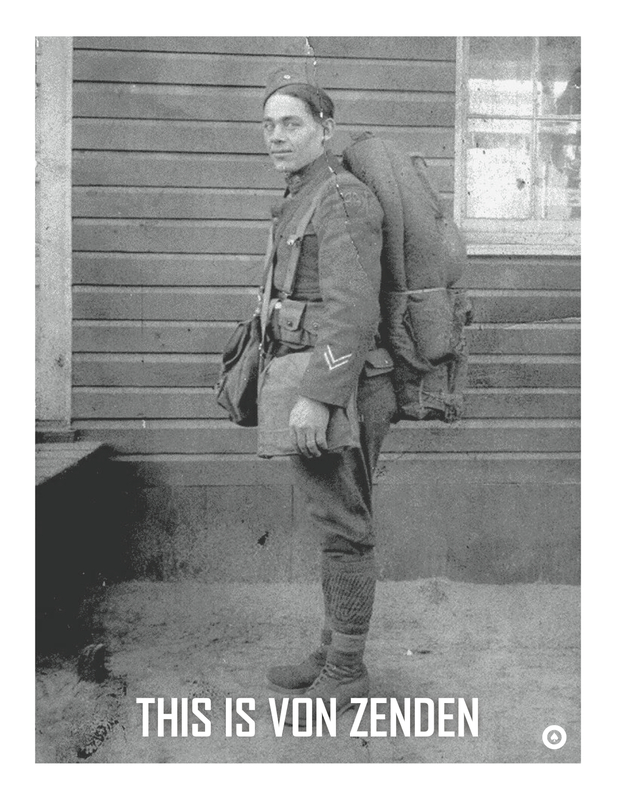 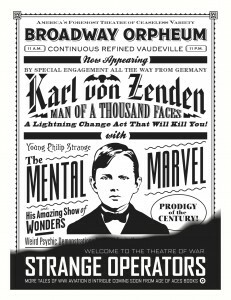 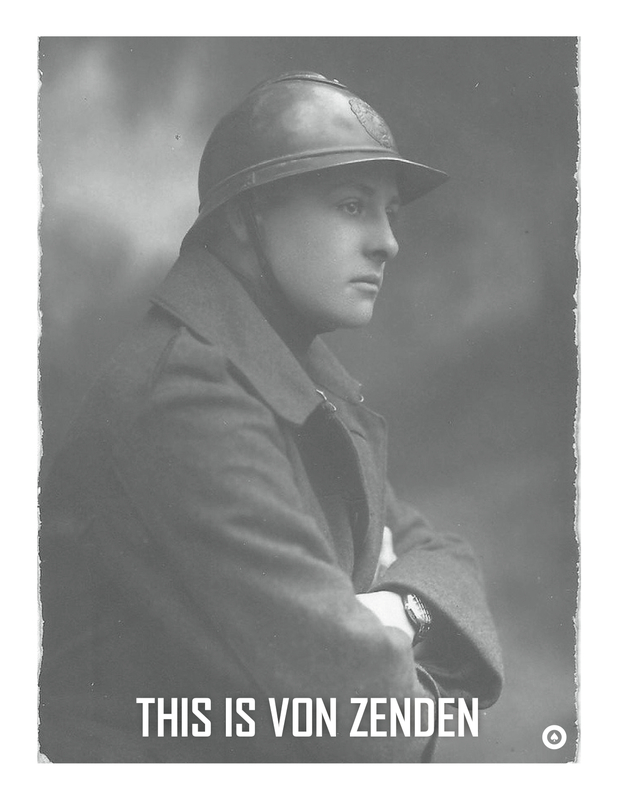 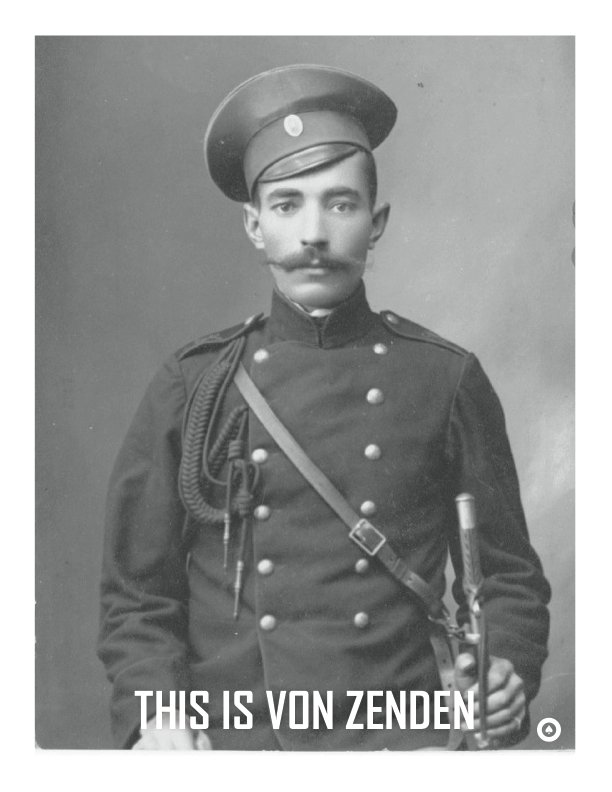 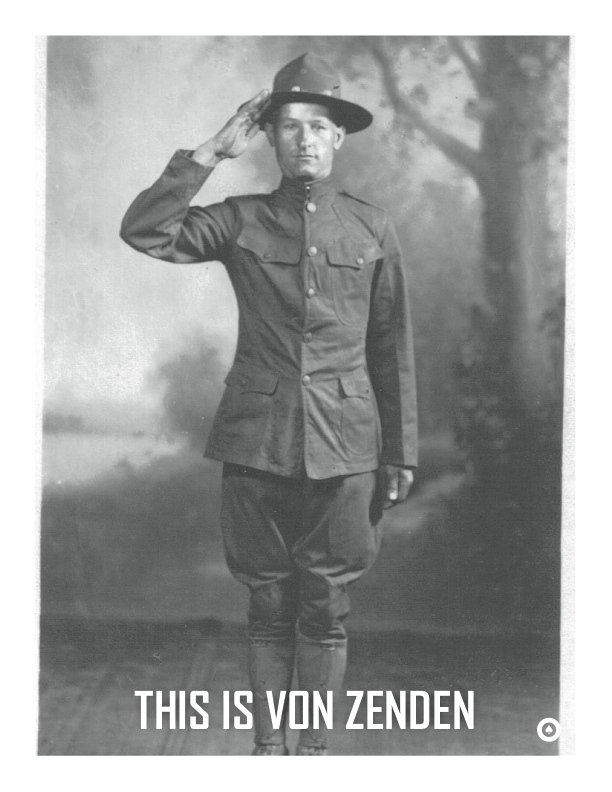 He produced a series of posters with period images of various WWI persons each with the tagline “This is Von Zenden” with the last one being an image of Philip Strange himself!